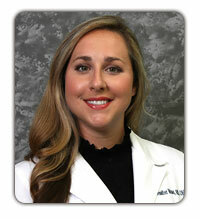 Jennifer is originally from Alabama and graduated as a Registered Nurse in 2003. She gained valuable experience as a medical/surgical nurse at DCH hospital in Tuscaloosa, AL and Catawba Valley Medical Center in NC. Jennifer joined our practice in 2007. She obtained her Certified Breast Care Nurse specialty certification in 2010 and has been chosen as one the few breast cancer nurses in the nation to help write the yearly examination for certification of breast care nurses nationwide. Jennifer’s fabulous reputation for helping to manage breast cancer patients has been a tremendous asset to our practice, our patients, and our hospital community. Jennifer enjoys spending time with her husband and daughter, as well as scuba diving, reading, and Alabama football. She is also a gifted photographer, and patients can enjoy some of her beautiful photographs on display in our office.